Veteran USA fullback Chris Wyles has been one of the leading figures of North American rugby in recent seasons. Now aged 31 Wyles is playing his eighth season of rugby for Saracens in the Aviva Premiership and is on course to play in a third Rugby World Cup. The Conneticut born back has played extensively on the left wing, at fullback and in both mid-field positions for Saracens but has played 39 of his 45 appearances for the USA Eagles at fullback. During his time playing for his country he has scored fourteen test tries, the first of which came against the Rugby World Cup 2007 winners, South Africa. 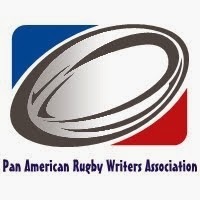 Wyles crossed for a second half try in what was the final pool match of the tournament as the North Americans finished their campiagn in Montpellier. Any Text or Image appearing on Rugby World Cup - Argentina 2023 is licensed in the terms of Creative Commons.